*Booted Illinois Gov. Rod Blagojevich said Monday that he is sorry for telling Esquire magazine that he’s “blacker than Barack Obama” and that he doesn’t really believe he is anyway. 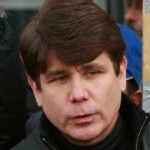 In an interview on WLS Radio in Chicago, Blagojevich said he was speaking metaphorically in the publication’s February issue. He said his comments were rooted in frustration over the way blacks and others who are struggling are treated by government. 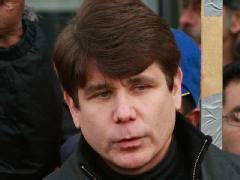 In the article, Blagojevich refers to the president as “this guy,” and says Obama was elected based simply on hope. On the radio program, Blagojevich talked more about his childhood and how he saw the riots in Chicago in the late 1960s and the “white flight” from the city. He did not compare his childhood to that of Obama’s or any other black person. Still, “I’ve always had a strong affinity for the African-American community,” he stressed, adding that when he was governor he appointed several more blacks to “important” posts than any of his predecessors.